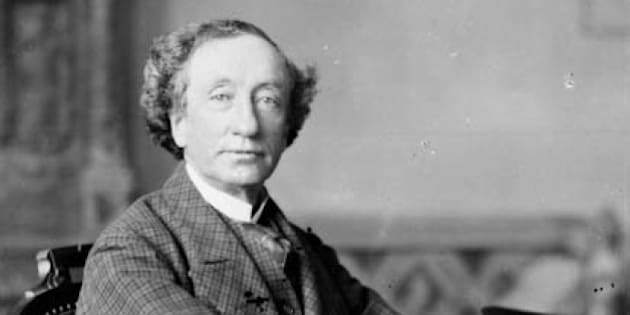 As people across Canada commemorate the 200th birthday of Sir John A. MacDonald on Sunday, here are six things that may surprise you about Canada&apos;s eldest statesman. During the construction of the Canadian Pacific Railway in 1873, his Conservative government was forced to quit office after the Liberal opposition discovered Macdonald and others were found to be accepting bribes from the railway company that was awarded the contract to build the railway. Macdonald addressed the allegations in a five-hour speech in the House of Commons, claiming he did what he did for the good of the nation. It must have worked, because the Conservatives won back power in the 1878 election. MacDonald and his political allies showed up to a conference in Charlottetown with $13,000 worth of champagne in what was likely a gesture meant to impress political leaders in Nova Scotia, New Brunswick, Prince Edward Island and Newfoundland, who were meeting there to discuss a union of the Maritime provinces. It may have worked because the conference yielded an agreement that was an early blueprint for a fledgling dominion. During the final negotiations of Confederation at the London Conference in December of 1866, MacDonald nearly died when he fell asleep with a candle still burning in his bedroom at the Westminster Palace Hotel. Various historical accounts say he woke up to the smell of his own charred flesh and that he was badly burned by the flames, but kept it secret through the final negotiations. MacDonald&apos;s grave might a national historic site, but you wouldn&apos;t know it when you see his grave in Cataraqui Cemetary in Kingston, Ont. His tombstone is a modest stone cross, more fit for a middle class businessman than an elder statesman. The gravestone is inscribed with the words "Sir John A. Macdonald At Rest." Hugh John Macdonald may have been the only surviving son of Isabella and Sir John A. Macdonald, but son and father were never very close. Hugh John was raised mostly by his aunt, according to Library and Archives Canada. When the Northwest Rebellion broke out in 1870, Hugh abandoned his legal studies against the wishes of his father to serve. Hugh John Macdonald would eventually return to Manitoba after the rebellion to become the province&apos;s first premier. We all know Sir John A. Macdonald from the modern day $10 bill, but according to the Library and Collections Canada, in 1935, Macdonald, along with Sir Wilfrid Laurier, were the first Canadians to have their portraits on our national currency. Macdonald was featured the $500 note and Laurier was on the $1,000.